Learning that you have any form of cancer is enough to give you a heart attack. However, as one of the most diagnosed, yet treatable forms of cancer, there are a few ways to get rid skin cancer. As the most effective way of getting rid of basal cell carcinoma, MOHS surgery is unique and gives our patients real results. So, what exactly is MOHS surgery and how is it performed? To help you better understand it, we have created a brief guide. Read on to learn more. Given its name by the man who developed this treatment, Dr. Frederick Mohs, MOHS Surgery has been around since the 1930’s. Described by many surgeons as an elegant procedure, MOHS uses a microscopic examination of excised tissues during surgery rather than after. The benefit of this is that it removes cancer cells while not harming as many normal cells in the process. MOHS surgery involves removing a thin layer of tissue one at a time. As each layer of tissue is removed, it is studied under a microscope to check for cancer cells. If cancer is detected in that layer of skin, the next layer will be removed and examined until a layer of skin is found that is cancer free. This unique and thorough process eliminates any guesswork and leaves you with more surety. Depending on the size of the area of your skin where surgery is being performed, recovery is fairly basic. You will be encouraged to wear a bandage over the skin for about 24 hours while the skin heals. You can expect to experience a slight amount of pain, inflammation, and redness but that should subside after about a week or so. 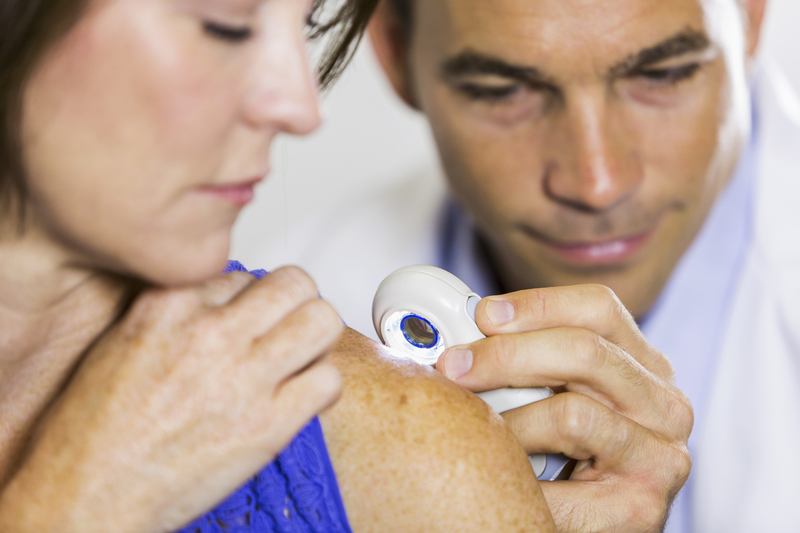 MOHS is a safe, fast, and effective way to get rid of your basal cell carcinoma or even melanoma. If you have just been diagnosed with skin cancer and would like to learn more about this procedure, contact Associated Plastic Surgeons & Consultants today to schedule an appointment!